Pianist Christina McMaster's new disc on her own label is a striking mix of 20th century and contemporary works which move from the blues through more modern interpretations to occasional lighter moments, with music by Samuel Barber, György Ligeti, Bill Evans, Alasdair Nicholson, Richard Bullen, Frederic Rzewski, Oscar Peterson, Nina Simone, Freya Waley-Cohen, George Gershwin and Stephen Montague. The disc opens with the first movement of Samuel Barber's Excursions, his first published solo piano piece which was written in 1942. It combines a rather Mozartian right hand melody with a boogie-woogie stride bass in a dark and intriguing manner. György Ligeti's Fem, on of a cycle of Etudes he composed between 1985 and 2001, starts out bright and fast with rather metallic feel (Fem means Metal in Hungarian) and develops into a complex, multi-textured work though I did slightly worry that the acoustic in the recording changed between the first and second tracks. Bill Evans' Peace piece is a transcription of one of his improvisations recorded in 1958 on his album Everybody digs Bill Evans. It is beautifully relaxed piece with a lovely sung right hand which gives the impression of a free improvisation over a regular bass. György Ligeti's Etude No. 5, Arc-en-ciel (Rainbow) evokes just that with its delicate transparency of texture and clear harmonies, though it develops some drama and brought in mechanistic clock like hints too. The Scots composer Alasdair Nicholson's 42nd Street Stomp begins with evoking late night blues before all hell is let loose in an exciting, foot-stomping dance which manages to bring in hints of all sorts of other cultural baggage. British composer Richard Bullen evokes late night jazz in his evocative yet edgy Scenes from a deserted jazz club for Jay Phelps's trumpet and McMaster's piano with Sammi Tammilehto, percussion, and Mark Lewandowski, double bass. Frederick Rzewski's Winsboro Cotton Mill Blues dates from the late 1970's and was part of the American composer's North American Ballads. It has become something of a modern classic. Starting with a low rumbling, it is a large scale high energy piece which evokes considerable violence as well as bringing in the mechanical nature of the cotton industry. I can imagine that this is an exciting challenge to play, and McMaster does so brilliantly but at over 10 minutes long I found it overstayed its welcome. The second movement of Samuel Barber's Excursions proves to be a lovely relaxed blues, whilst Oscar Peterson's Hallelujah Time is very much a perky, ragtime piece. Nina Simone's Don't smoke in bed is another classic and here given in a version for trumpet (Jay Phelps) and piano. I rather missed Simone's words, but the result is an attractive combination of late night jazz and more edgy elements. The young British composer Freya Waley-Cohen wrote Southern Leaves specifically for McMaster to play on this album. Based on civil rights songs by Nina Simone and Billy Holliday. It is dark and ominous, with the original material surrounded by darkly threatening chords. George Gershwin's It ain't necessarily so is another classical, given an attractively bluesy finish by McMaster. Finally there are two pieces by the American composer Stephen Montague. His Songs of Childhood is based on American hymns given a thrilling high-energy makeover. Southern Lament combines a pair of spirituals, Nobody knows the trouble I've seen and I'm troubled into a subtle and evocative piece. 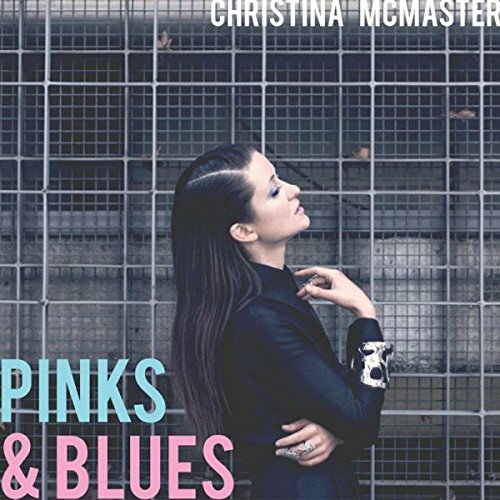 Christina McMaster has put together an attractive array of blues and jazz based pieces. She is well up for the technical challenge of some of the piano writing, and delivers some brilliant high energy playing when needed. But she also has a feel for the late night jazz/blues element. McMaster's notes in CD booklet are brief, giving us just a few basics and clearly she wants us to listen to the music without too much baggage. I enjoyed the disc; though not every piece on it is a gem and clearly for McMaster it is as much about the total journey as about the individual elements.